Third trimester is here, which means Busy Baby is growing fast and the due date is no longer a vague distant future thing. I’m 28 weeks today and I want to have everything ready before 38 weeks, given the family history of fast baking ovens. The little lady is alive and very much kicking. It’s going to be weird to have my belly stay in one place again! TDH and I are starting to prepare for things. We’ve been doing so for a few weeks, taking things easy. The nursery is painted, we’ve received and borrowed a bunch of baby stuff and bought a few things. The nursery may be painted, but actually it’s still filled with the sofa and TDH’s computer. The sofa can only get out of there once we removed the old sofa from the living room, which we will do as soon as we figured out where to make a play area for the pet rat. The rat hangs out on the old sofa… Life is complicated. Another complicated thing is the combination of our house and getting in and out and around with a mini me. I don’t think I ever sketched our situation! We live in one of the bigger cities of the country, in a ‘bovenwoning’ built in the 1930s. Essentially this comes down to an apartment on the 2nd floor with no lift. Instead, we have a charming set of stone stairs leading to the front door of our and 3 neighbours’ front doors. Behind our front door we have a tiny (80cm wide!) hall and another set of narrow stairs, leading to the rest of our home. I’ll get to the rest of that later. We decided to tackle this combining a lightweight, compact travel system and baby wearing. I still haven’t decided how to go about the baby wearing, given how expensive proper ergonomic stuff is. The pram, however, is finally sorted out. We needed something compact and lightweight with a carry cot that can easily be removed. Oh, and not too expensive. Regardless of the space in our house and the boot of our Nissan Micra, a wide pram is impractical in European cities. So we looked up stuff about prams, drove to two large baby stores and tried out a few dozen prams. The idea was to buy second hand. We had one winner, and one runner up. 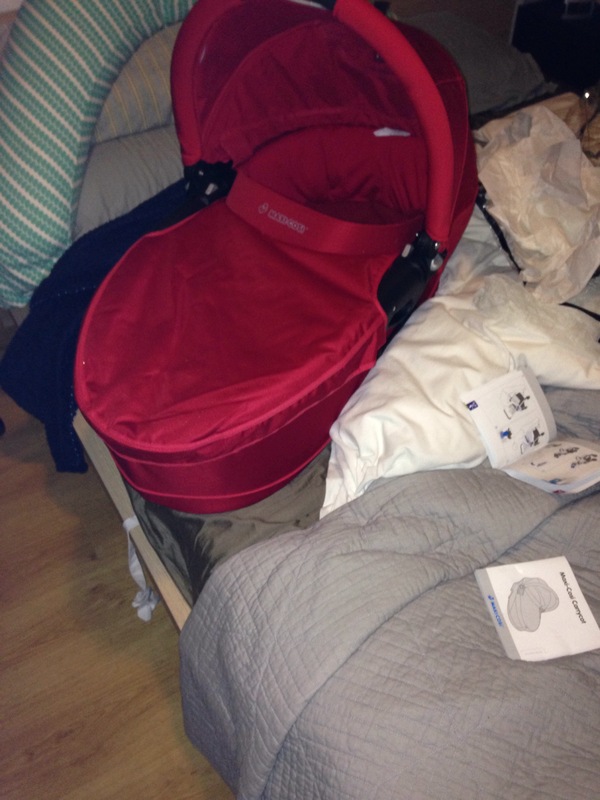 The winner was the Maxi Cosi Stella, at some point I even used it to compare the others to. 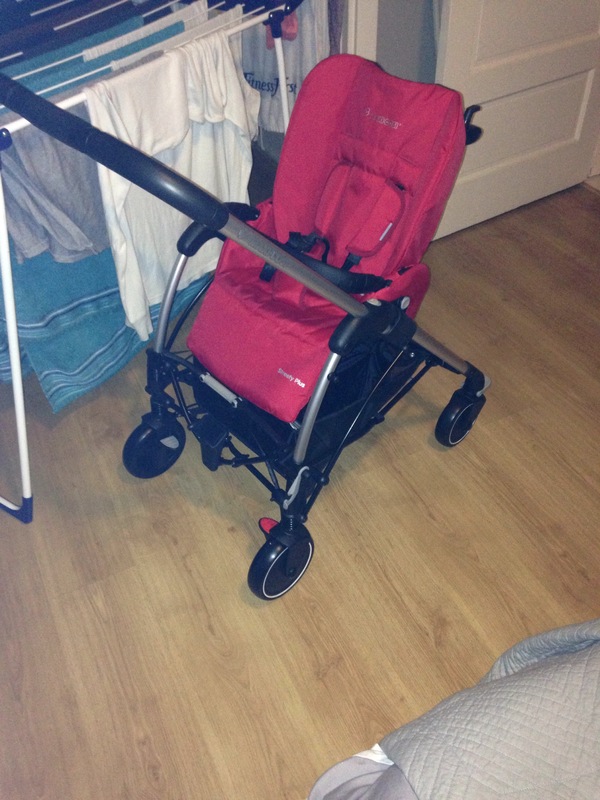 The runner up was an X-adventure pram which I couldn’t find online really. So we set out to get a second hand Stella. And discovered that we fell in love with the newest, fresh off the press model. (Two weeks ago a sales lady told me the red one was already sold out…). It also happens to cost 750 euros. Which is too much for something you’re going to use far less than average because it still is far easier to tie the baby to your body than it is to dismantle and reassemble the pram every time you leave or come home. I know you can use the pram till they’re at least 2, but a lightweight stroller makes far more sense for us! I don’t mind an investment, but it has to make sense! TDH found brand new discontinued Maxi Cosi prams online. We thought about it, weighed the pros and cons, and ordered the Maxi Cosy Streety Plus. (As a gift from the Handsome grandparents for Busy Baby!) It is a discontinued model, and we got it for the same price we would pay for a second hand one. It was a bit scary: you don’t really know what you’re getting! And I am pretty excited about it. It’s actually pretty comparable to the Stella in functionality. The Stella is a bit prettier, lighter and probably has better wheels (which are still available) but we can buy at least 3 Streetys for the price of one Stella and it’s almost as good as the Stella. We tested the Streety on the pavement. I could easily get it up and down the stairs, and push it around. Kerbs were no issue. I even tested it in the house, it’s promising for shops when we actually use it. Let’s just hope it lasts! The Busy Baby is a girl. Daddy’s little princess and mum’s supergirl. I’m having a little girl. I’m thrilled. Not that I wouldn’t have liked a boy too, but it’s a girl and I am happy about it. Then I realised what a responsibility raising a girl is. I think many people think of girls as soft and pink and sweet (have you seen baby stores and even toy stores?). Thing is: I know better. This little lady will look at me to see what being a woman is. She will come into a world where she is still told -more than boys- to be the princess. It’s up to us to teach her that princesses grow up to be queens, and that boys play super heroes but girls can be super heroes. And also that she doesn’t have to be a super hero. 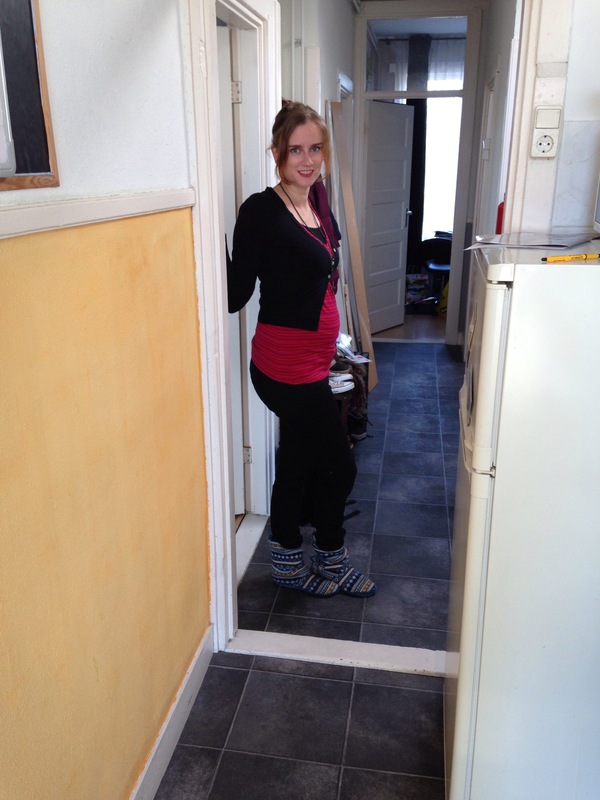 It also means I have to model healthy womanhood to her, despite my history of anorexia and other stuff. I don’t want her to have to go through that. I can feel her ‘presence’, sort of how you know someone is in the room without looking. I think she’s a strong one. Raising a strong girl is going to be a tough but rewarding task. I bought her her first skirt, because I felt like I had to. Everyone else will be dressing my child for the first 6 months or so! It’s dark grey with bright flowers and she won’t fit it as a newborn. Skirts and dresses are fun! I was a but disappointed in Dutch brand Lief! They used to sell pink baby clothes that said ‘lief!’ (sweet) on them for girls and ‘stoer’ (tough) for boys in bright light blue. They no longer have them. From the moment I first saw them, I wanted to dress my future baby girl in a ‘stoer’ shirt. Because girls are tough and because it’s fun. Announcing the gender to the future grandparents was fun. We had a get together with both sets and I made very very pink cupcakes that were white on the outside. (I forgot to take a pic of them!) I had to search the entire city for food colouring because essentially the Dutch don’t know how to kitchen. 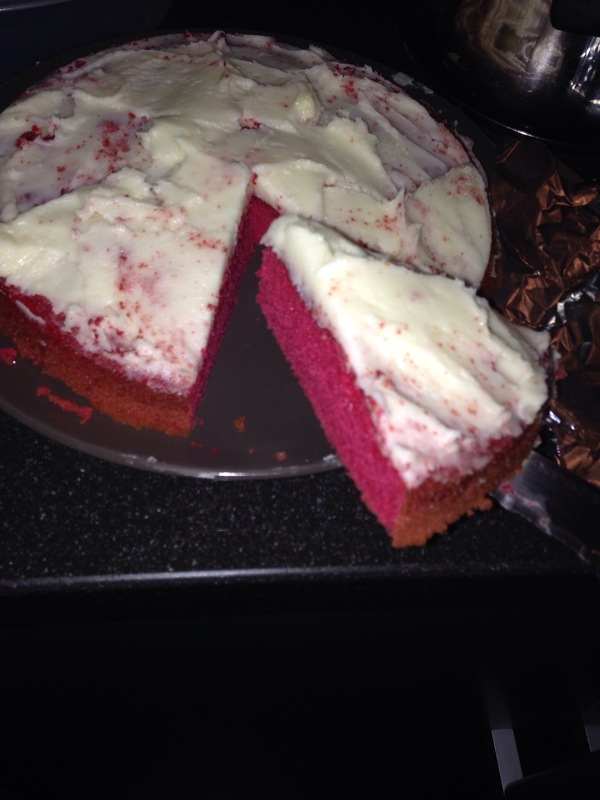 When I found it I went for light pink but it was a tad stronger than I thought so I ended up with raspberry pink cupcakes and a small cake (recipe was enough for a small cake, it said…). Anyhow. My mum was harassing me about the gender since we had the sonogram and begged for a cupcake all the way to TDH’s parents’ place. She was so disappointed when I finally unpacked white cupcakes! Everyone was excited to discover that she’s a girl. Not that everyone needed a pink and white cupcake to know the gender: TDH’s mum had already bought a girls’ romper suit! And this is me at 20 weeks. I must say. Busy Baby is definitely living up to his/her name so far. I could feel kicks just before 18 weeks and that is with the placenta lying in front. I mostly feel side kicks! I’m 19 weeks today. 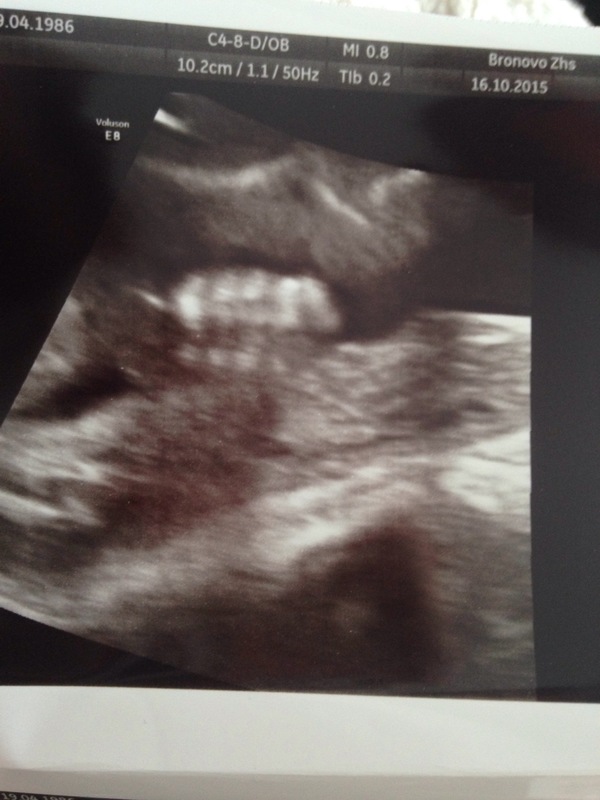 Baby was moving throughout all 3 sonograms. We had the 20 week scan yesterday. Everything looked fine. Baby even fist bumped the probe! We know the gender but aren’t revealing yet. It’s hard not to put the proper preposition in place here!! !